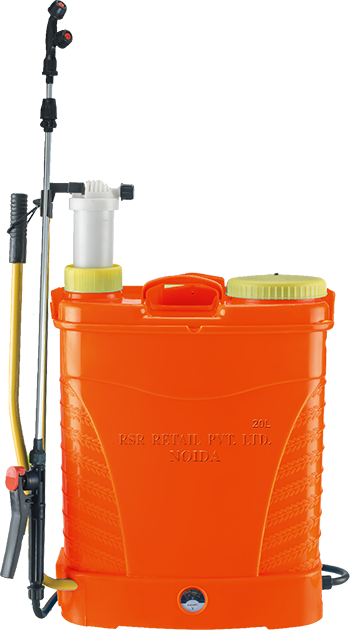 These Mechanical Battery Operated Knapsack Sprayer have tank capacity of 16 or 18 Litre. It provides atleast 4-5 hours time of spraying in 8AH battery and in 12AH Battery you can expect 9-10 hours of spraying. Extra large fill opening prevents spills when adding liquid to the 16 Litre tank. The tough, poly tank is translucent, making it easy to see liquid level inside. Includes AC charger that completely charges battery fast as possible. Comes with an option of choosing 8AH or 12AH Battery, depending on customer choice. 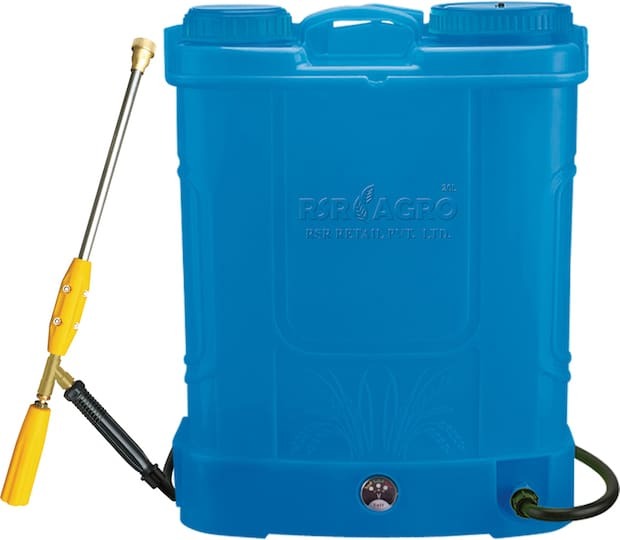 This type of Battery Sprayer is identical to the above HY-805 model, the superior application in this of sprayer is that it enables farmer to spray using using conventional system of handle/lever, so if Battery is not charged or some troubleshooting is needed, the farmer can attach the hose pipe to the pressure chamber and start spraying. 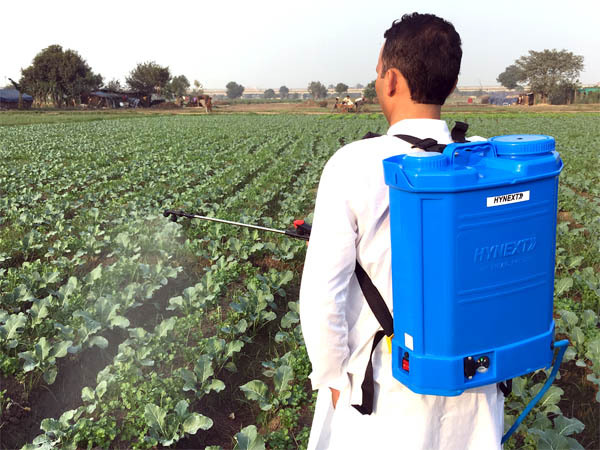 Our Dual-Type Battery Sprayers are rigorously tested by NRFMTTI, Hisar (Haryana) and other Govt. of India approved State Agricultural Universities. 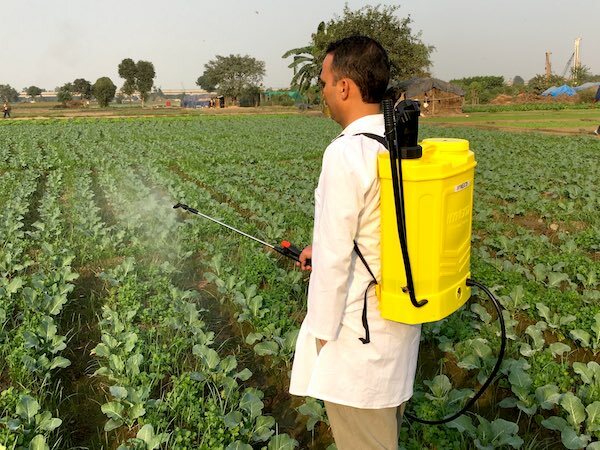 This type of Battery Sprayer is identical to the above HY-805 model, this type of sprayer has double pump which enables enormous pressure and large scale spraying via hyjet gun. It is also fitted with 12Volt 12AH Battery for better power, capacity and long time usage. Moreover, there are two switches in this type of model hence if the user wants to use only one pump that is also possible. Isn't that great? Comes with Heavy Duty 12Volt 12AH Battery & 12V 1.7A Charger for fast charging support. 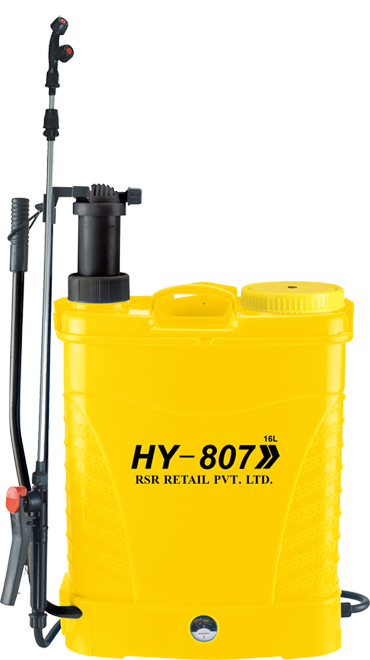 Our Battery Sprayers are rigorously tested by NRFMTTI, Hisar (Haryana) and other Govt. of India approved State Agricultural Universities. 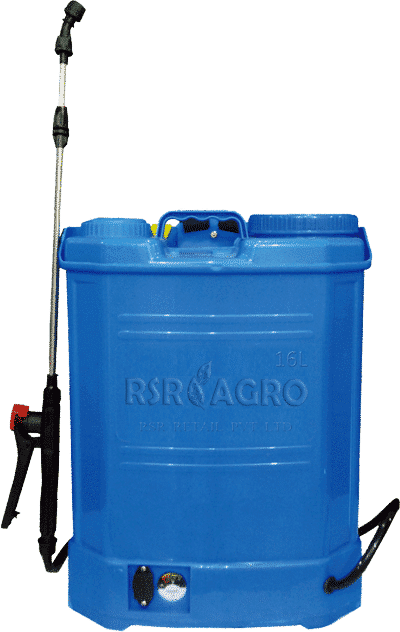 These sprayers are same as above but available with huge tank i.e. 20 Litre.. 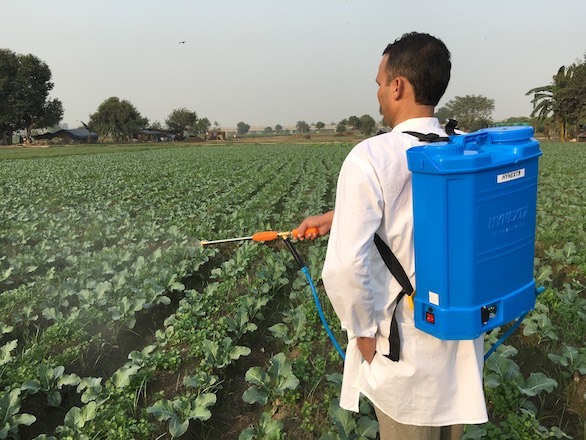 This allows farmers to carry extra 4 litre of spraying liquid. Variable choices are available such as with battery 8AH or 12AH. Also available with Heavy duty pump with discharge of 4.0 Litre/Minute and 12V 12AH Battery & 12V 1.7A Charger for fast charging support. Our Battery Sprayers are rigorously tested by Govt. of India approved State Agricultural Universities.